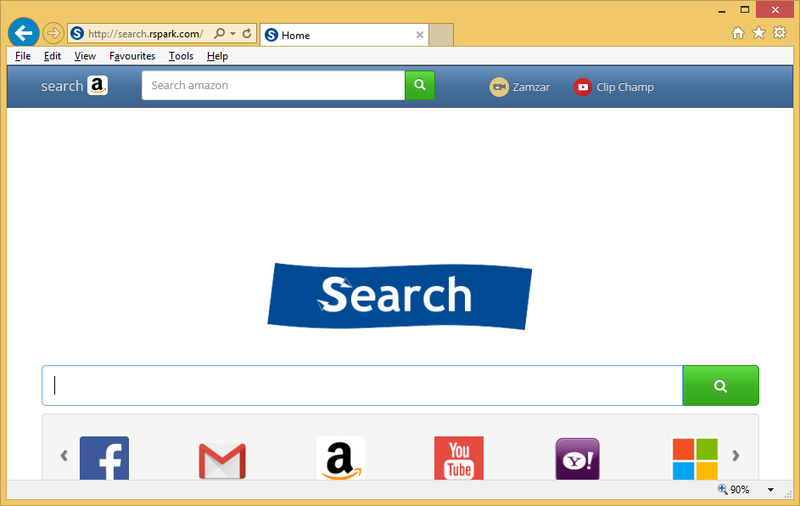 Search.rspark.com – How to remove? Search.rspark.com is a part of a potentially unwanted application called Rspark. This program may not be a malicious infection, however, it is a serious threat as it provides users with false information about their PC in an attempt to trick them into wasting their money on it. The tool is promoted as a utility that can fix your system issues, eliminate harmful files and programs, remove junk files, thus improving your computer’s performance. Unfortunately, that is not what its real goal is. You should waste no time and terminate Search.rspark.com along with its related app right away. As Rspark belongs to the category of potentially unwanted programs, it is not at all surprising that it uses the same distribution method as do other apps of this group.The distribution method is referred to as “bundling” and it means that the unwelcome app arrives onto your system in a bundle with other software. This software can be acquired for free on a third party website. Once inside, the supposedly beneficial tool begins the scanning process and presents you with the same results regardless of the actual state of your computer. The program claims that your system has several problems that “decrease your computers performance or decrease its security”. The message will go on to state that there are malicious components in your system, but will never actually provide you with any specific details about them. The app may also show you fake security alerts and pop-ups, all concerning your PC’s supposed lack of security, and even alter your browser settings. It is clear that all of these tactics are only used to scare computer users and urge them to purchase Rspark. That is the last thing you should do. Instead, you should delete Search.rspark.com immediately as there is nothing reliable or useful about this utility. The best way to get rid of Search.rspark.com is by using a legitimate anti-malware application that can perform an actual scan and detect Rspark and other unwanted programs that may have entered your computer with it. The malware remover from our webpage can help you to eliminate Search.rspark.com and other issues, and it can also serve as a malware prevention measure by keeping your PC protected from similar and more dangerous online threats. Alternatively, you can try manual Search.rspark.com removal. It can be completed by following the instructions presented in the guide below this article. If you follow them carefully, you should be able to erase Search.rspark.com without any troubles.